You may have a great DVD collection that you watch on DVD Player and PC from time to time. You might have backed some DVDs into ISO image for safety concern. But let me tell you a better idea. Now that you have got a Google Nexus 4 with gorgeous built in movie player, why not rip DVD movies to Google Nexus 4 for enjoyment? In this way you can avoid getting discs scratched or damaged, and you can enjoy their DVD movies with your Nexus 4 on the go when Wi-Fi is out of reach. All you need is an user-intuitive DVD ripper that lets you convert DVD movies to Google Nexus 4 suitable format MP4, 3GPP and transfer the movies to your phone via USB (or wirelessly if you like). The Pavtube DVD Ripper is a dynamic DVD ripping tool that can help you encode DVD as well as DVD ISO/IFO to Google Nexus 4 highly supported MP4 video files with high output video quality and fast ripping speed. Besides, you are allowed to edit the DVD movies by trimming, cropping, adjusting video effects, etc. to get the very wanted part and effects as you like. Moreover, this DVD converter can also help you convert DVD to all other popular video formats like AVI, MOV, MKV, WMV, FLV, MPG, etc. 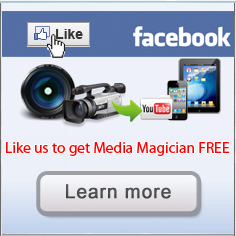 for playing and sharing on iPhone, iPad, Archos, Zen, Blackberry, YouTube, Facebook, etc. bypassing the DVD copy protection. Step 1. Launch the highly recommended DVD movie Converter for Nexus 4. Click the “DVD” icon to load DVD movie from ROM, “ISO/IFO” icon to import movie from DVD ISO or ISO. When importing DVD movie you need to keep your PC/Mac networked so as to access keys for hacking DVD copy-protections. Step 2: Click on the pull down menu of “Format”, and we recommend “Android >> Google Nexus 7 H.264 Video (*.mp4)” format for converting DVD movie to Google Nexus 4. While the preset was designed for Nexus 7 tablet, it also works for the 4.7-inch Nexus 4 smartphone. For best effect, you may download additional profile patch which includes specific Nexus 4 preset. Note that the patch is for Windows only. Step 3: Press convert button, then the DVD ripping program will start encoding your DVD movie into desired output format for your Nexus 4. When the DVD movie to .mp4 video conversion ends, you can connect your Nexus 4 to PC via USB and then transfer DVD collections to Google Nexus 4 for enjoying. 1. You can click on the dropdown list after “Subtitles” and “Audio” option respectively to select your wanted subtitles and audio track to be preserved in the export file. 2. 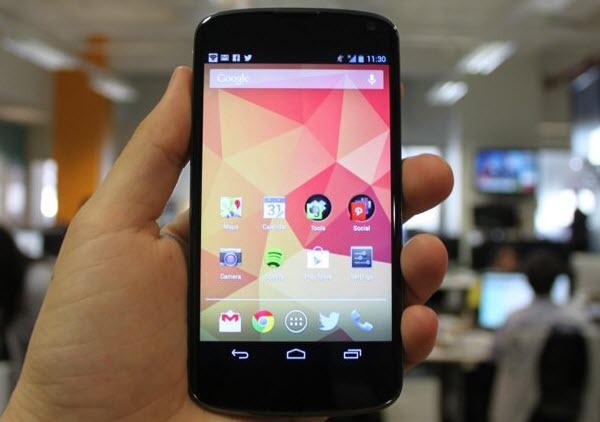 The Nexus 4 capacity is a little more limited with only 8GB and 16GB model. To save storage, you can customize settings to get a more compressed file size. See details in customize DVD movie for Google Nexus 4.